Crime scene. Photo by KMV. 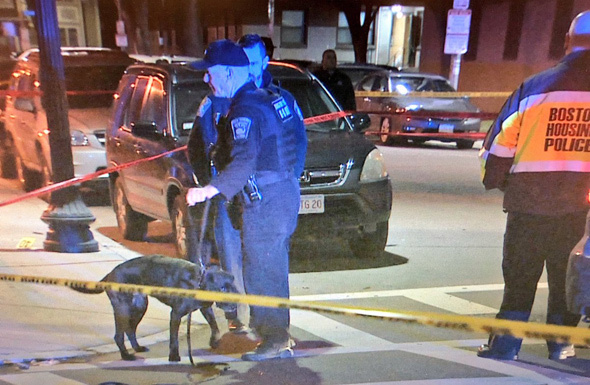 Boston Police report a man was shot shortly after midnight at Patterson Way and Rev. Burke Street in the Old Colony development. He was taken to a local hospital, where he was pronounced dead. He is Boston's ninth murder victim in 2018.